Pairing great food with craft beer has become a popular event during San Diego Beer Week (SDBW). On Friday (11/9), dine on delectable dishes while sipping great local brews during Brewtopia on the Bay at The Dana on Mission Bay. 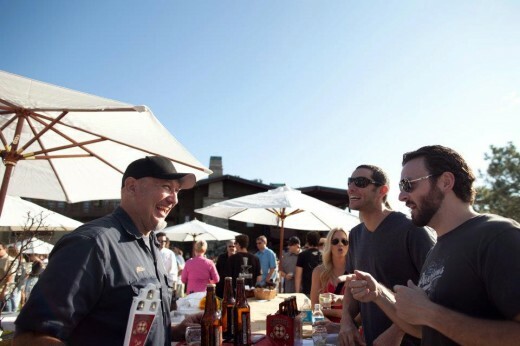 Finish off SDBW on Sunday (11/11) at the Beer Garden at The Lodge at Torrey Pines. 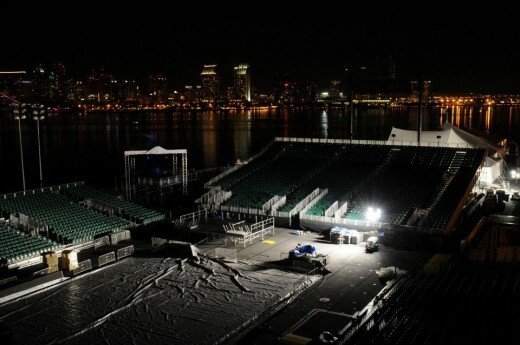 Along with a picturesque setting, over 20 local breweries and 10 local chefs will be serving up San Diego’s best. And since admission includes unlimited samples, this is a SDBW event not to be missed. SDBW continues with daily events through Sunday. 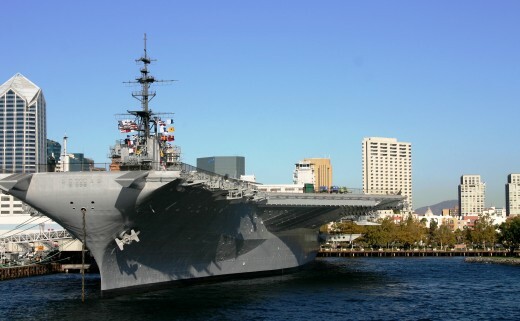 Update: Battle on the Midway has been pushed back by two days and will now be on Sunday, November 11, 2012, at 1:00 PM. 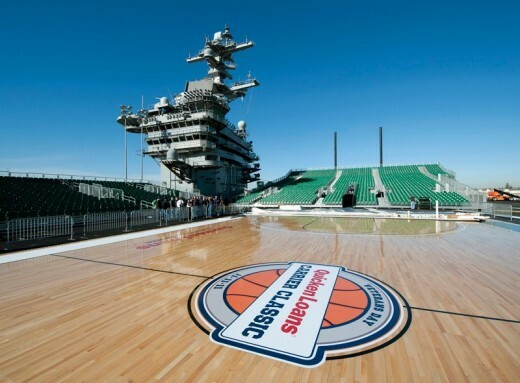 Battle on the Midway is one part Aircraft Carrier and one part NCAA Basketball. 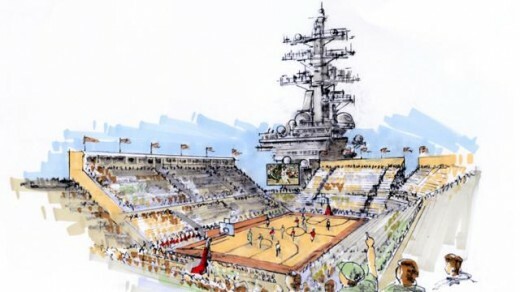 Two of the top teams in the nation, San Diego State University and Syracuse University will battle it out on a court aboard the USS Midway Aircraft Carrier Museum. Hang out by the pool under the stars at The Pearl Hotel and see if Katniss Everdeen makes it out of the Hunger Games alive! 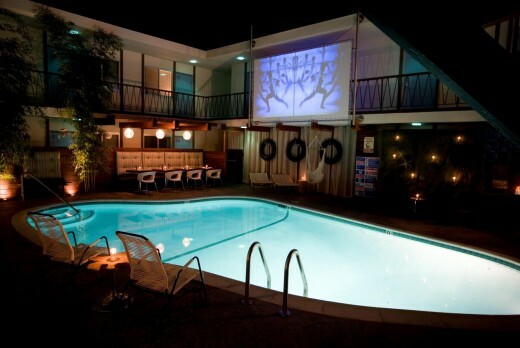 While you watch, enjoy a few snacks, drink and maybe a dip in the oyster-shaped swimming pool. If you have a group of 6, make reservations for one of the cabanas and lounge in style. As part of a collaboration between the Museum of Contemporary Art San Diego, The San Diego Museum of Art, and the Timken Museum, Behold, America! tells a cohesive story of the history of art in the United States. The works on display range from the colonial period to the present. Little Italy’s Kettner Boulevard comes alive as visitors mix and mingle their way through the many boutiques and galleries on the second Friday of every month. Come explore this ever-growing distinctive neighborhood with a walk filled with art, design and antiques.